This is done for Sept 2015 Word Art Challenge hosted by Clever Monkey Graphics. 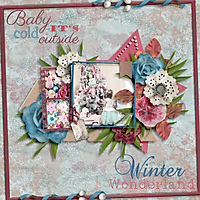 Beautiful page with the word art perfect for that adorable photo! Love the stitched circles. Adorable picture! I love the bright colors, the stitched circles, and the word art tag!